Causeview Inc. is the developer of giving apps for nonprofit organizations and higher education institutions. 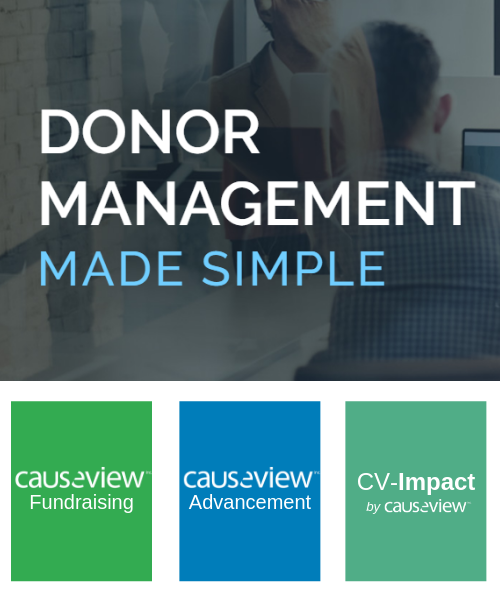 Causeview transforms CRM platforms into Donor Management systems by providing powerful payment processing functionality. We are based out of Markham, Ontario, Canada, and serve over 1,600 users at organizations throughout the United States, Canada, the United Kingdom, and Australia. Ready to learn more about how Causeview can help your organization? Click the "Request a Demo" button to schedule a time with us.